There is shopping along the main street, including the Swiss Village shops which a resident we met at the Natural Bridge told us not to miss. We missed it, because we weren’t there for shopping. We just wanted to see what it was like for someone visiting and looking for scenery. 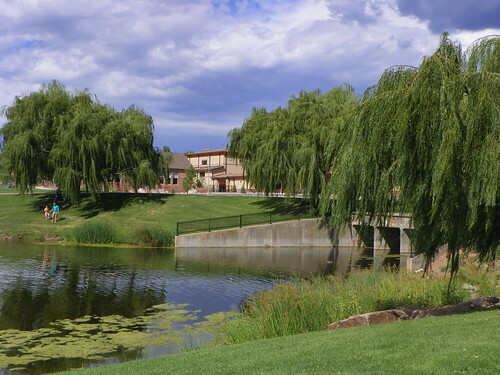 Green Valley Park is a central recreational place where we saw people fishing, picnicking and just relaxing. 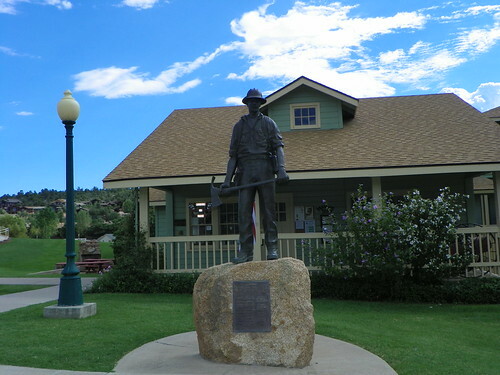 Nearby, we saw a statue honoring firemen in front of the Rim Country Museum, which also had a reproduction of the Zane Grey Cabin (the Western writer who had lived in Rim Country). With heavily treed areas in Rim Country, firemen are honored with this statue, acknowledging their part in keeping the citizens safe. We drove around some more and located three golf courses, the location for their annual rodeo days, and the Mazatzal Casino and Hotel. 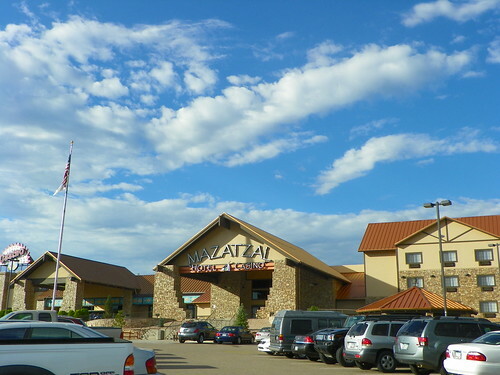 The casino, run by the Tonto Apache Indian Community, was a typical Arizona casino with all of the gaming action most people look for – slots, bingo, etc. The hotel seemed well-kept and attractive, but we didn’t get to see a room. 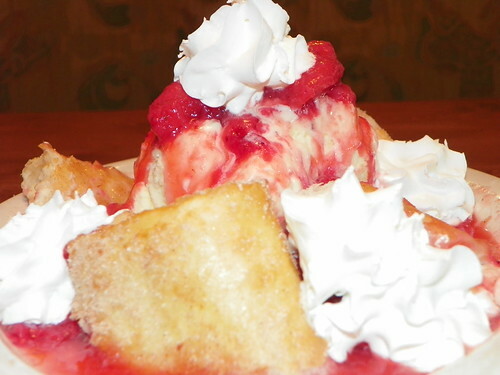 We finished our meal with their “Southwest Cheesecake,” which had a combination of cheesecake in fried tortillas with ice cream, strawberries, and enormous clouds of whipped cream. The cheesecake, nestled inside of the tortillas was warm and rich, was definitely enough for two. It was unique and worth having. We were polite about sharing, but we ate every drop! Southwest Cheesecake - sooo good! 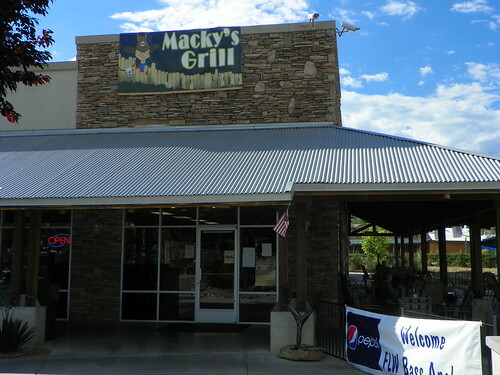 Macky’s also has an outdoor patio and obviously likes to make guests feel welcomed. We did! 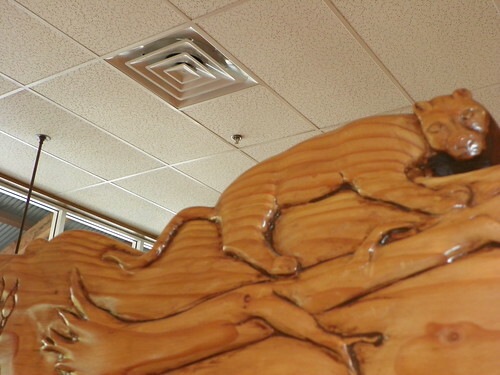 So, we ended our visit to Payson with full bellies and glad we’d stopped. As a place to vacation, it is really a quiet haven with outdoor activities as the central focus. 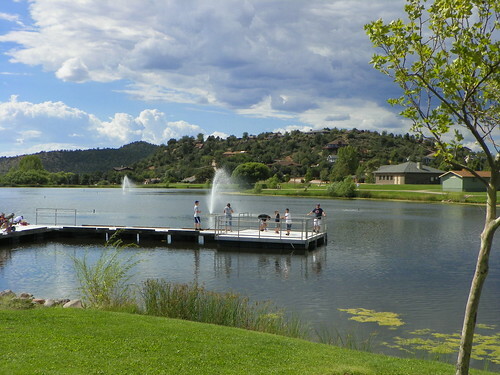 Find out more at http://www.paysonrimcountry.com/ – there are inns, small hotels, RV parks and other places to stay in if you plan a visit. This entry was posted on Monday, September 20th, 2010 at 6:00 am	and is filed under Arizona, Family Fun, Food, Gaming, Historic, Museums, Restaurant, Scenery, Southwest, Travel. You can follow any responses to this entry through the RSS 2.0 feed. You can leave a response, or trackback from your own site.